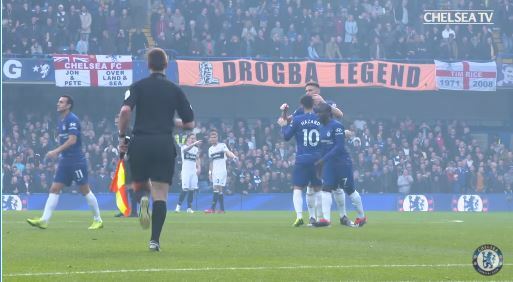 Let’s go back to a time before last night’s depressing loss to Wolves, to a magical world called Sunday where we’d beaten Fulham 2-0 at Stamford Bridge. Chelsea TV were on hand to film some great behind the scenes action from the tunnel, including the great scenes of the crowd celebrating two pleasant derby goals. There was even a chance for Ruben Loftus-Cheek to talk to his adoring fans after his goal. Let’s just pretend last night never happened eh?